They sound like the same city, but they’re not! 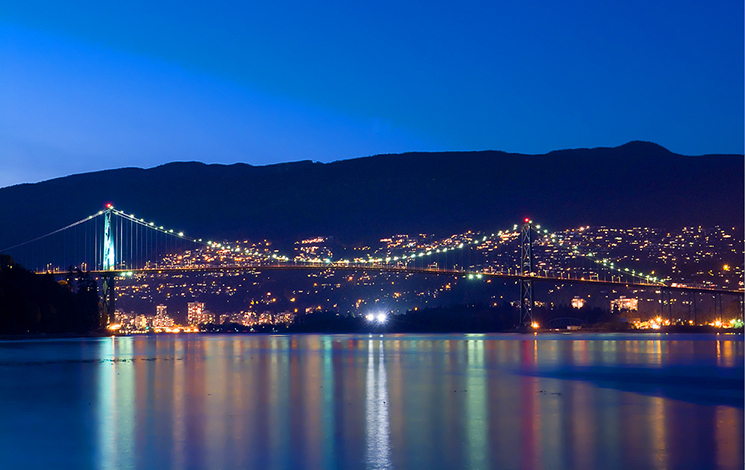 West Vancouver and Vancouver are distinct municipalities separated by a few hundred metres of sea, but connected by the Lions Gate Bridge. Ringed by mountains and ocean, West Vancouver delivers some of everything the West Coast and beautiful BC has to offer, wrapped up in a smaller and easy-to-visit package. West Vancouver is just minutes away from Vancouver and it’s easy to get here. It’s also right next to Grouse Mountain and the Capilano Suspension Bridge, so it’s simple to add on a visit to West Vancouver. West Vancouver’s Horseshoe Bay is where you catch BC Ferries to Vancouver Island and the Sunshine Coast. Also, you can’t get to Whistler without passing through here—it’s a convenient stop-off on your way to Whistler or on your way back. Whether you're coming here by bus, bike, car or boat (or maybe hiking along a local trail), there are lots of scenic routes to West Vancouver!